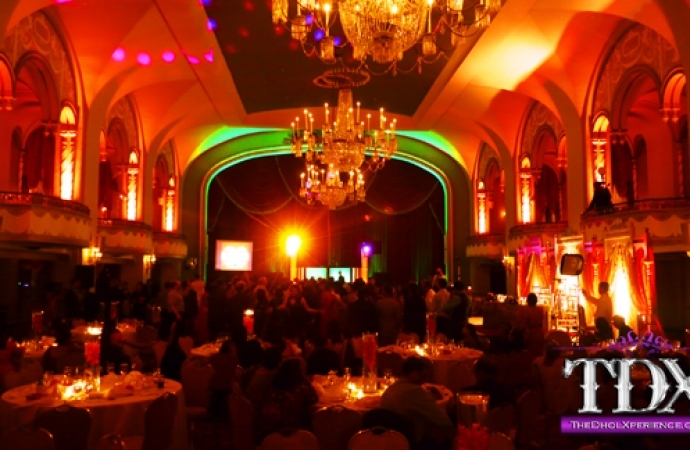 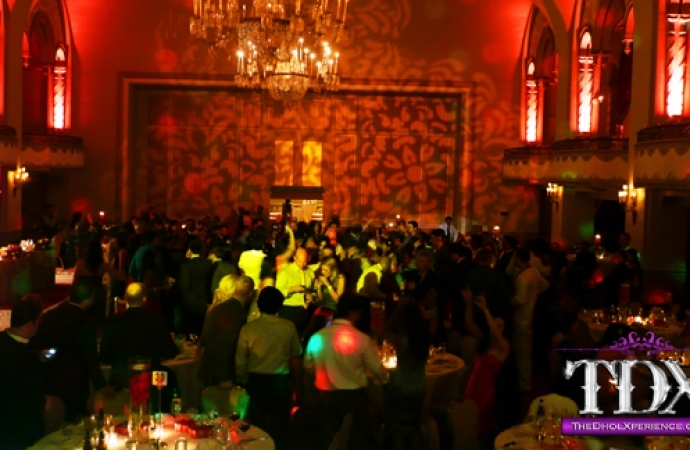 Illuminate the entire ballroom's walls and ceiling in any color of your choice to transform it into a romantic candle-lite atmosphere. 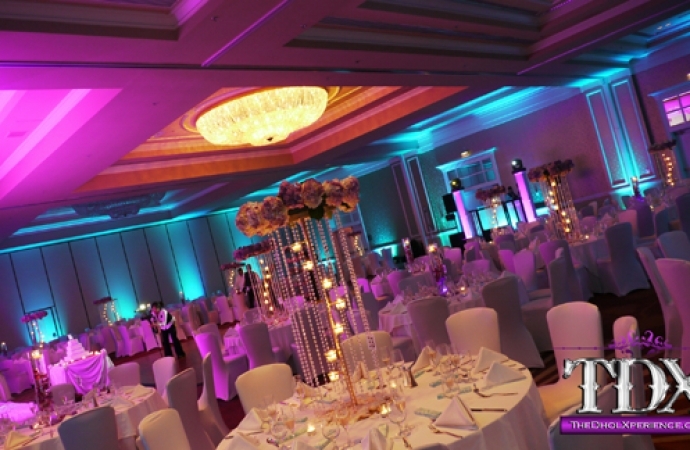 Pick a solid(s) color for a elegant and classic feel, or the color-changing option for a 'club-like' party. 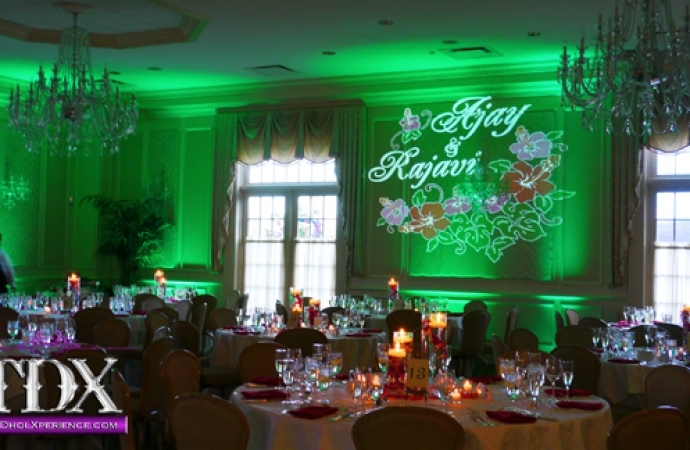 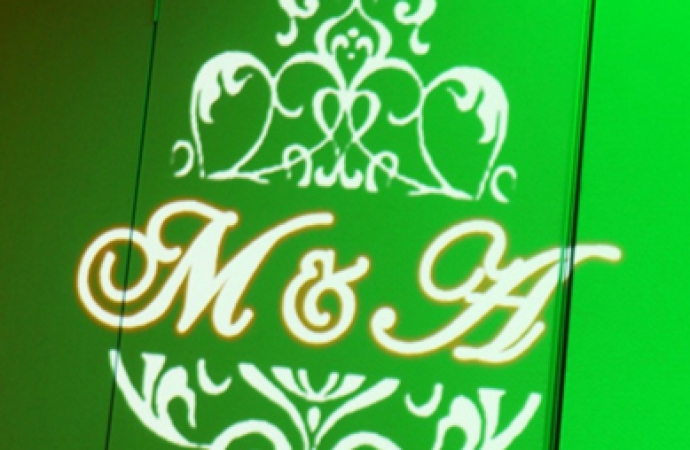 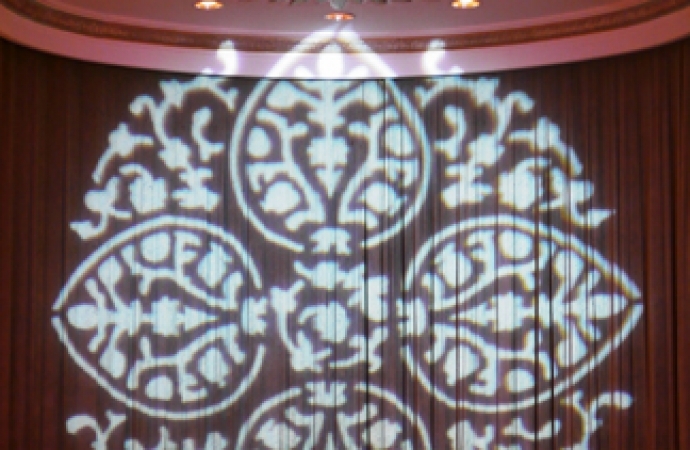 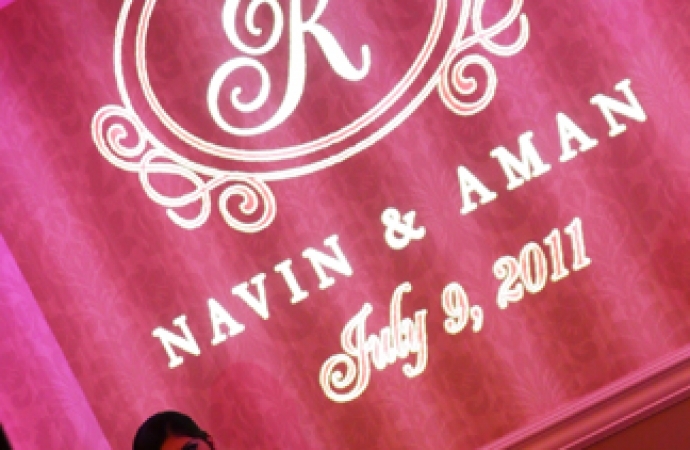 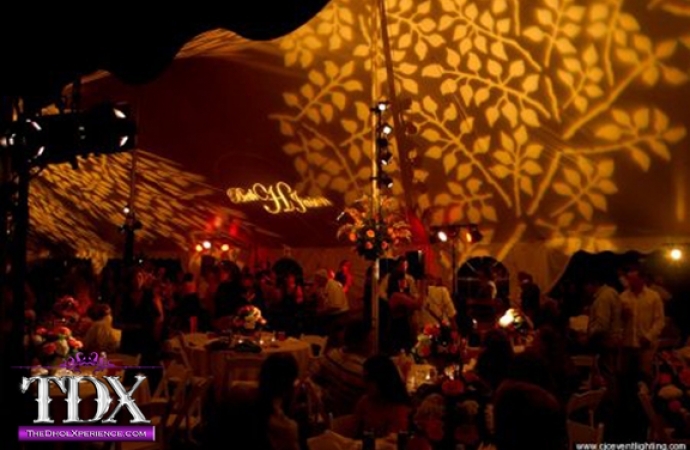 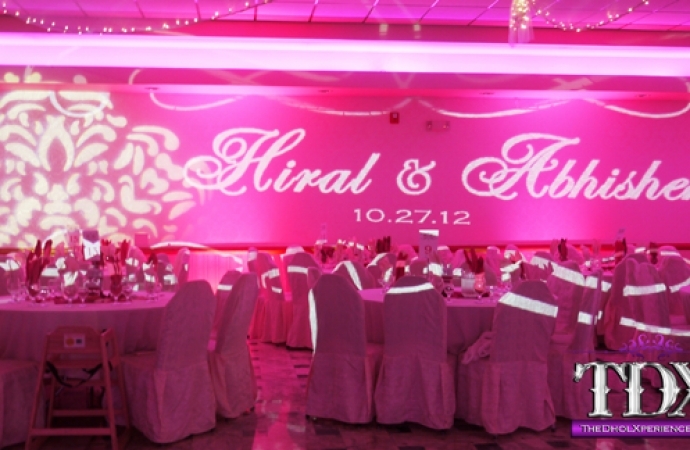 The Customized Gobo/Monogram Light can project the B&G’s names, initials, date, or almost any image of your choice on a central wall to give the room a personal touch. 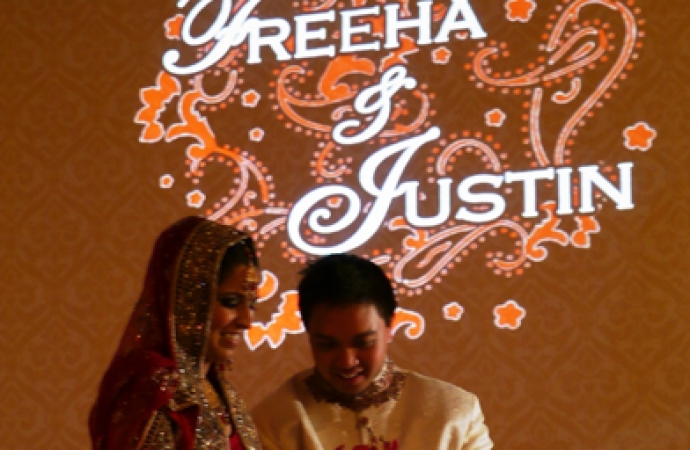 Based on your feedback we’ll design 2-3 templates to fit the theme of your wedding for you to choose from. 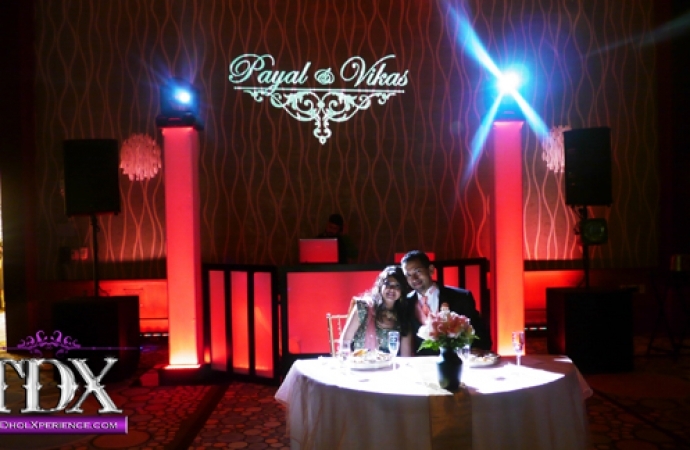 A standard scanner is included in every package which changes to the beat of the music in stationary motion. 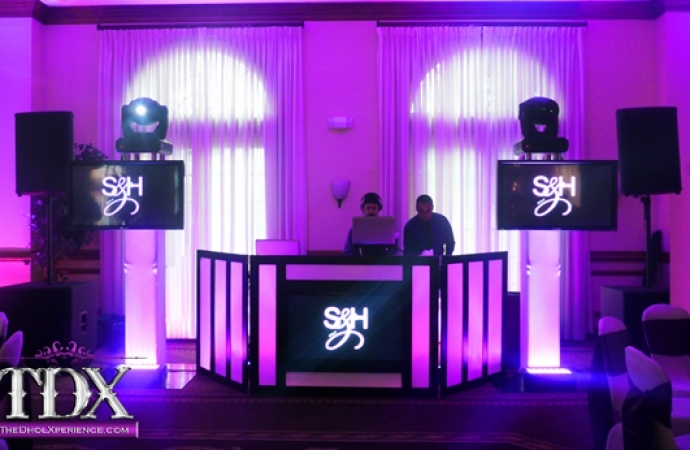 However if you're looking for a more elaborate lighting show then the Intelligent Moving Head Lights on Truss Towers will be sure to wow your guests to create a custom party atmosphere of your color and speed preferences. 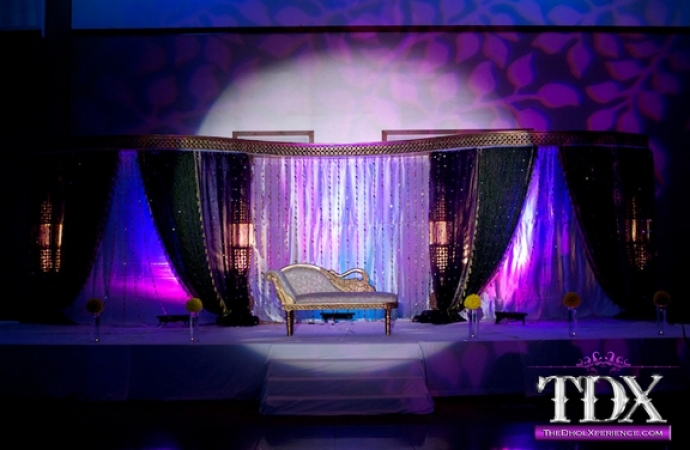 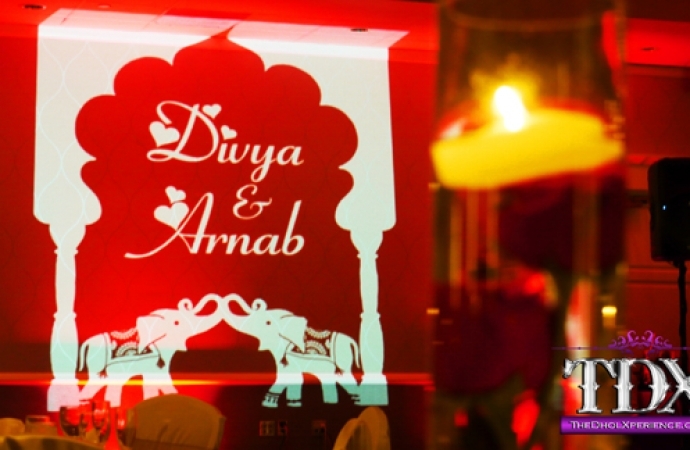 Controlled from our laptop using the Intelligent Moving Head Lights on Truss Towers, we can spotlight during entrances, first dance, cake-cutting, speeches, performance, and on the stage/mandap to assure the guests can always see you. 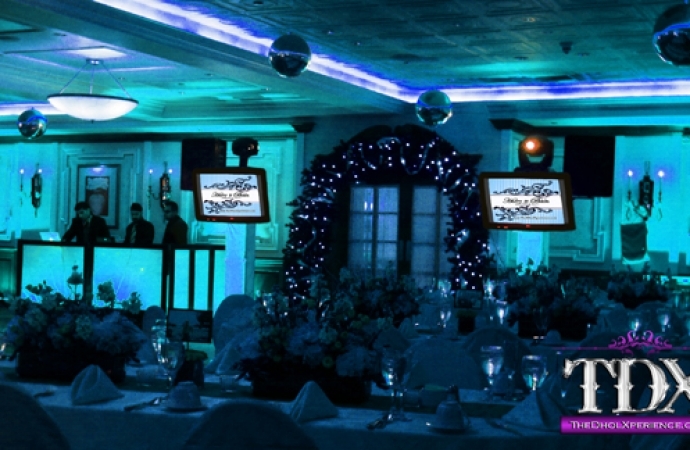 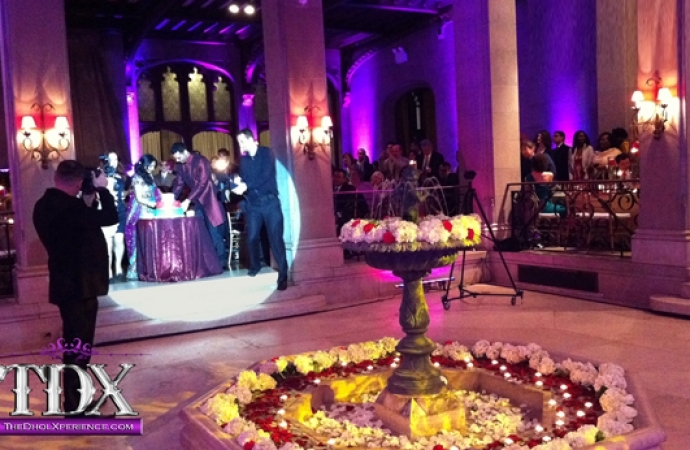 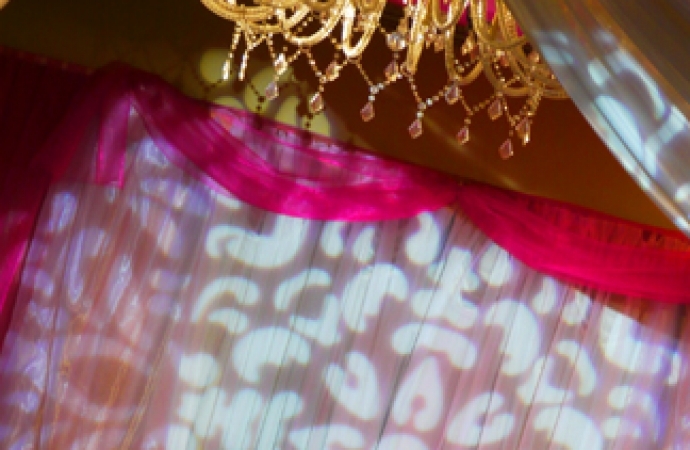 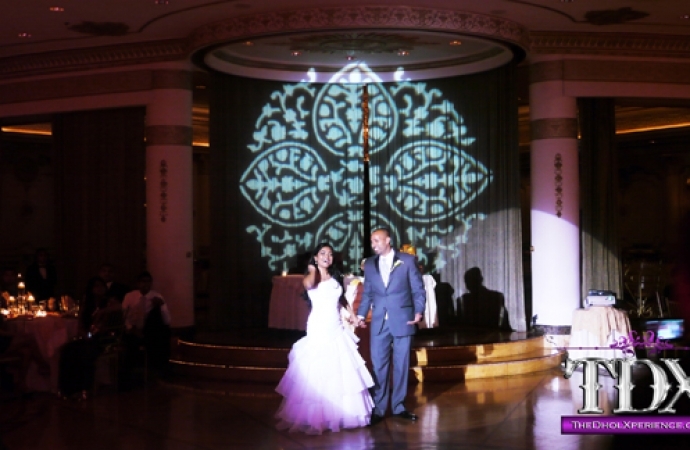 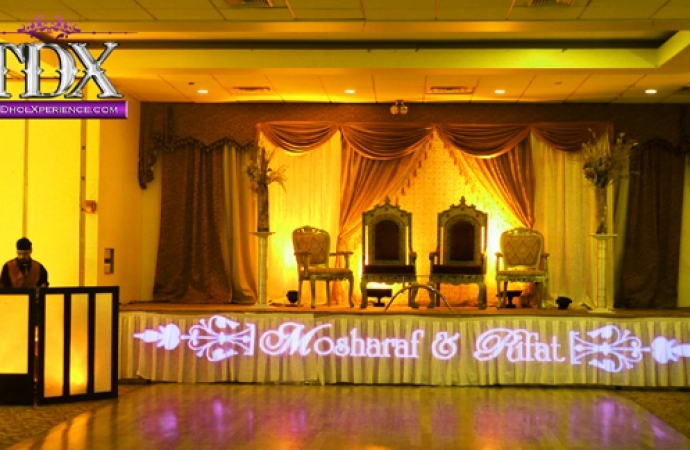 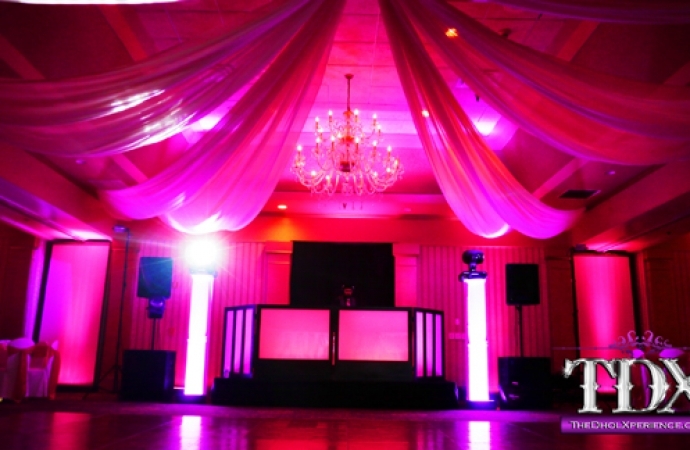 Highly recommended if you book LED Uplights for your ballroom.